While a less enticing offering than its React Element 87 counterpart, Nike’s React Element 55 model has still managed to prove its worth by giving fans a lower-priced, less-hyped alternative to one of 2018’s most hyped and comfortable sneaker offerings. Releasing in a clean combination of pale colors, the white-based upper is paired with grey hits and a pastel-like yellow that fills the Swoosh, lacing stays and heel branding. 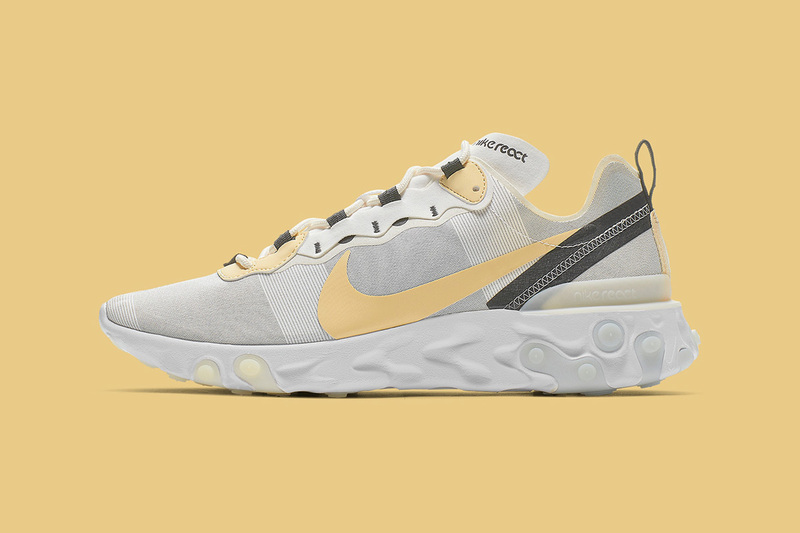 The React Element 55 most notably differs from its counterpart with the implementation of a mesh-like material on the upper as opposed to the translucent TPE featured on the React Element 87. While the release date has yet to be confirmed, you can expect this colorway to be dropping in the near future for $155 USD via Nike’s web store.